I must tell you this recipe had been in draft form since the end of August. I made this stew quite often this past summer. I had a few zucchini plants in my container garden, so I had a constant supply of fresh zucchinis. The season is over, and we just cleaned out the container garden this weekend (I know it was overdue). 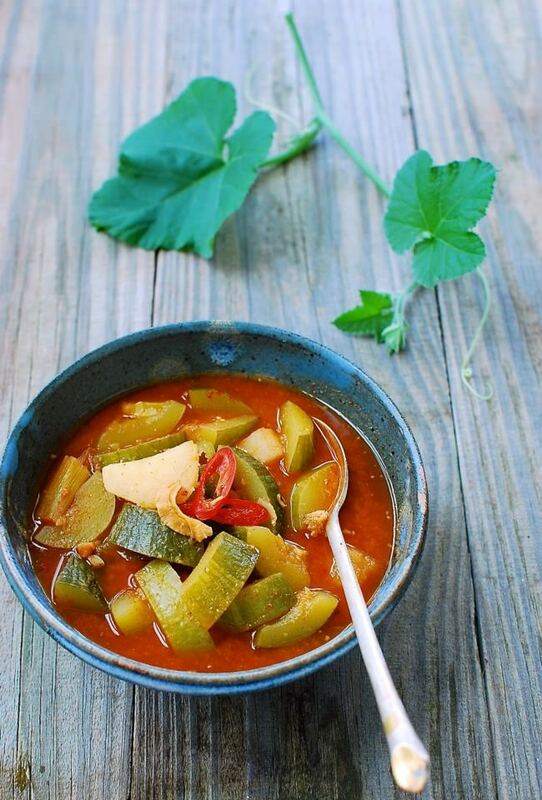 My home-grown zucchinis are gone, but stews and soups are definitely here to stay for fall. 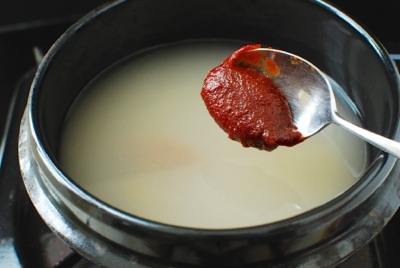 If you like rich and pungent Korean stews (jjigae), such as kimchi jjigae and doenjang jjigae, you should add this gochujang jjigae (고추장 찌개) to your repertoire. Gochujang (fermented red chili pepper paste) is a condiment that’s spicy, savory, slightly sweet, and pungent. 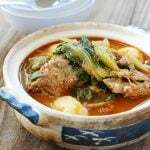 It adds lots of spicy, robust flavors to this simple stew which is made with a few very ordinary ingredients such as zucchini and potatoes. 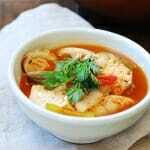 Tofu, mushrooms, onions or radishes would all be great additions to this stew as well. 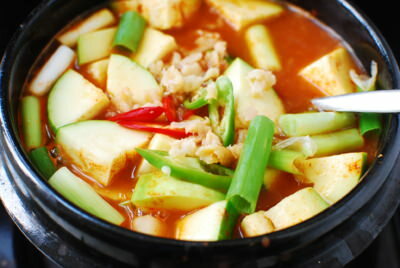 Korean spicy stew made with gochujang and summer zucchini! 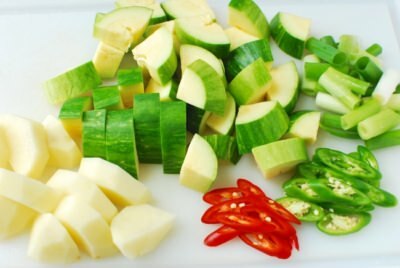 Cut the zucchini into about 1/2-inch thick bite sizes and the potato into a little thinner pieces as the potato takes longer to cook. Roughly chop the scallion. Thinly slice the peppers. Add the water to a small pot. Add the red chili pepper paste, soybean paste, and soup soy sauce. Stir well to dissolve. Bring it to a boil. Add the potatoes, zucchini, clam meat, chili peppers and garlic. 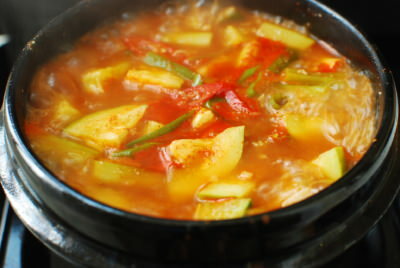 Cook until the potatoes and zucchini become soft, about 10 minutes. Throw in the scallion with 2 minutes remaining. Serve hot with a bowl of rice. 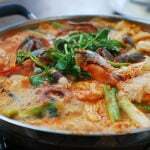 The water used to rinse rice is commonly used in Korean stews and soups. Use the water from the second round of rinsing. Mmmm, I can imagine the taste, Hyosun. 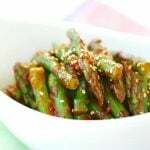 How wonderful it is to grow your own vegetables and create such a homey dish for the family? Nothing like having a bowl of hot Korean stew with steamy rice. This is so colorful and it looks like comfort food to the max on a cold fall/winter evening. Yum! That hot pot is full of deliciousness! 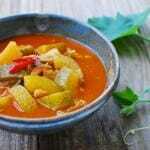 Wonderful recipe and just perfect for the season..I can imagine it warms your soul! Got to try this now when outside is so chilly. Loving the pics too! Have a lovely week Hyosun! I would be totally happy to have this dish with a bowl of white rice. Isn’t it a nice dish on a cold nasty rainy day? You can use meat – pork or beef. 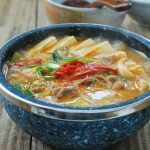 See my doenjang jjigae recipe for how to cook meat first in jjigae. Hope this helps. Thanks for using my recipe! 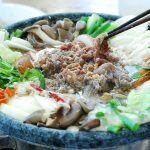 If you prefer to remove meat at all, you can base the soup on stock made from shitake or kombu. That simple stew looks perfect for winter! 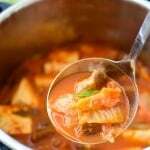 I always adore a good Jjigae. I find Korean Zucchini to be so pretty!!! 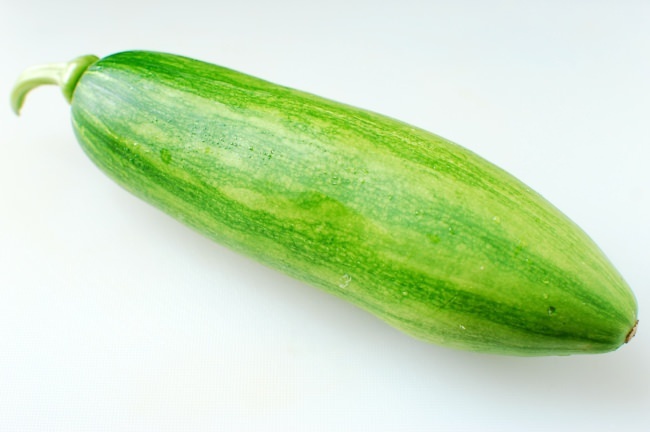 Do I have to use Korean zucchini? No, absolutely not! Any zucchini will be fine. Enjoy. 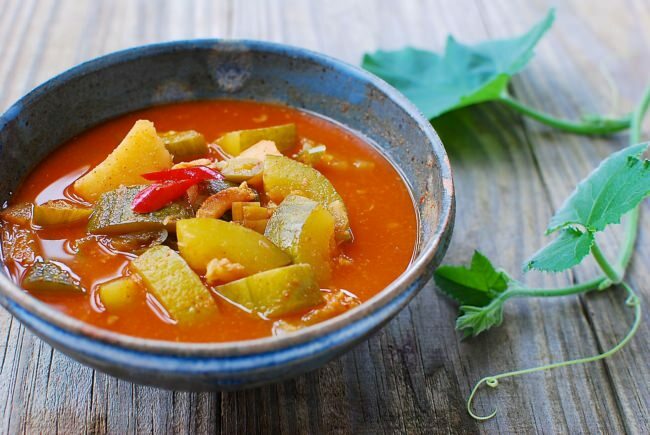 I love zucchinis and this stew looks absolutely wonderful! I just discovered your blog recently. I really like korean food. It’s simple and healthy. By the way, what’s the soup soy sauce? 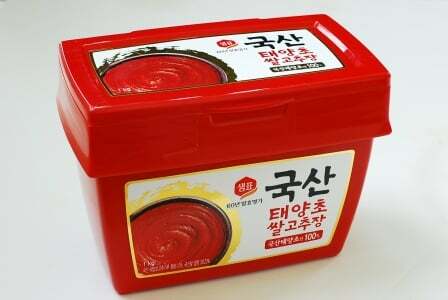 Please show me the picture then I can get it from the Korean supermarket at Malaysia. There are several different brands out there, but this post has a photo of one. 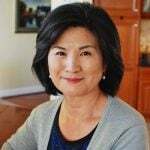 Just ask a Korean at the market. Hope this helps. Thanks for using my recipe! I am very excited to try your recipe. 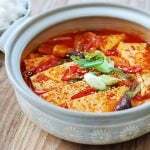 I always order Guchujang Tofu-Jjigae at Korean restaurants because it’s my absolute favorite! This seems very similar. Thank you!! Thank you, Jennifer! Hope you try it soon and enjoy! This looks lovely! What if you can’t get clams? Is there a substitute or can we leave them out? Thanks.